All of our accomplishments are the result of months, sometimes years of hard work and diligence, and always in partnership with many other organizations and citizens. We invite you to take a quick journey of our work through the years …. 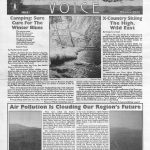 ♦ The Appalachian Voice first publishes. 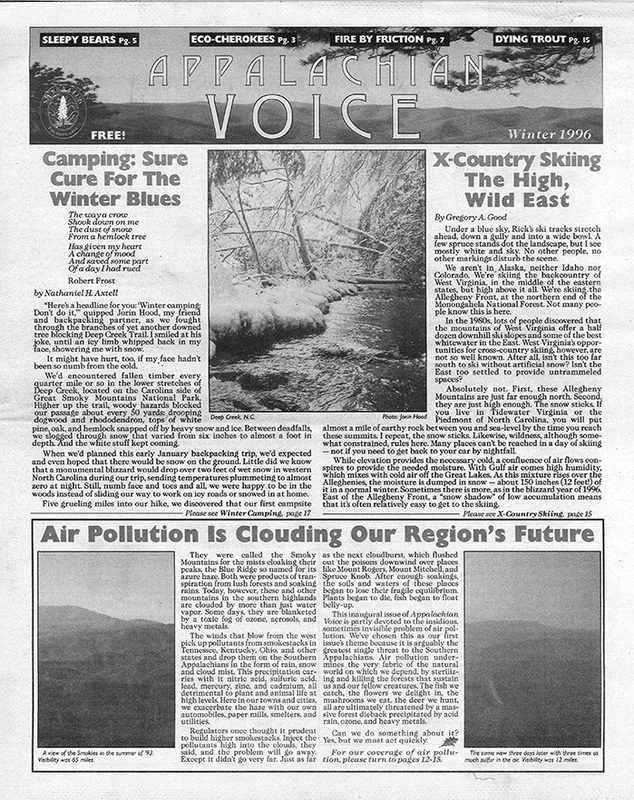 ♦ Appalachian Voices is chartered as a nonprofit in Boone, N.C., with a mission of protecting the air, land, waters and communities of the Central and Southern Appalachian region. ♦ Begin organizing in West Virginia to end mountaintop removal, leading to the creation of independent organization Coal River Mountain Watch. ♦ Bring together 12 groups to pass the N.C. Clean Smokestacks Act, one of the strongest air pollution laws in the country at the time. ♦ Start "Appalachian Treasures Tour," a traveling presentation about the atrocities of mountaintop removal coal mining, marking the beginning of our national campaign to end the practice. ♦ Help form Christians for the Mountains, a non-denominational religious campaign founded on the idea of caring for creation. 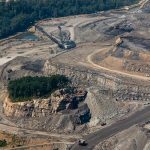 ♦ Join with 12 other organizations to form The Alliance for Appalachia and hold the inaugural End Mountaintop Removal Week in D.C., and launch iLoveMountains.org. ♦ Establish offices in Washington, D.C., and Charlottesville, Va.
♦ Help found the Wise Energy for Virginia Coalition to build statewide movement to transition from fossil fuels to clean energy. 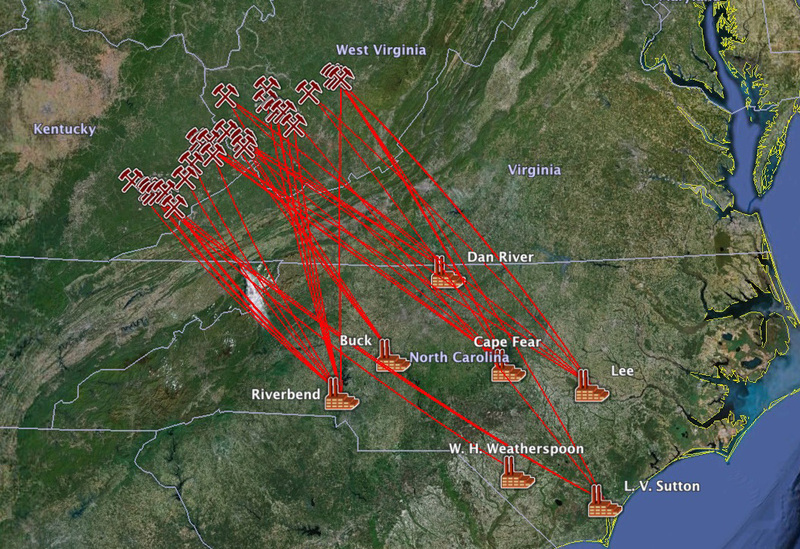 ♦ Launch the "Mountaintop Removal" and "My Connection" online tool, for which we are later named one of eight "Google Earth Heroes." ♦ Generate tens of thousands of letters to President Obama to prioritize an end to mountaintop removal. ♦ Due partly to our advocacy, Appalachia Restoration Act is introduced in the U.S. Senate, and the first-ever Senate hearings on mountaintop removal are held. ♦ Launch Appalachian Water Watch program in Kentucky to train citizens to monitor water quality in streams. 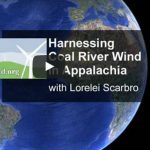 ♦ Our "Harnessing Coal River Wind in Appalachia" video is featured at the International Climate Summit in Copenhagen. ♦ Document more than 30,000 Clean Water Act violations at Kentucky coal mines, and bring legal actions against the companies that lead to unprecedented fines. ♦ Gain 173 co-sponsors for the Clean Water Protection Act in the House of Representatives and twelve co-sponsors in the Senate. ♦ Given awards or otherwise recognized by four national entities — E, the Environmental Magazine, Resource Renewal Institute, Good Magazine and Business Ethics Network — for innovative work on organizing, protecting water quality and ending mountaintop removal. ♦ Reach milestone of 100,000 people who have taken action on mountaintop removal. ♦ Expand Appalachian Water Watch campaign to Virginia. ♦ Launch the Red, White and Water campaign to educate the public about negative health effects of coal-fired power plants in the Southeast. ♦ Defeat proposal for the largest coal-fired power plant in Virginia in partnership with the Wise Energy for Virginia Coalition. Focus national awareness on mountaintop removal at the Democratic National Convention in Charlotte, N.C.
♦ Launch of our "Energy Savings for Appalachia" program to advocate that rural electric cooperatives provide upfront, debt-free financing for energy efficiency home improvements. ♦ Quickly responded to the "triple whammy" of coal-related disasters — the Dan River, N.C., coal ash spill, and West Virginia’s Elk River chemical spill and separate coal slurry spill — and help focus national spotlight on the issues. ♦ Celebrate with local groups the successful fight to stop the Ison Rock Ridge mountaintop removal mine in Virginia. ♦ Launch our campaign to support and amplify efforts of multi-state citizens coalitions to stop two massive fracked-gas pipelines in W.Va., Va., and N.C.
♦ Reach a historic settlement with Frasure Creek Mining over its years-long violations of water law in Kentucky. ♦ Statewide alliance of citizens demanding action on the North Carolina coal ash crisis forms with our support. 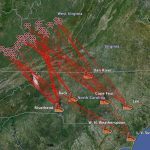 ♦ Launch of "Communities at Risk" online map showing mountaintop removal moving ever closer to communities in Appalachia. ♦ Open office in Norton, Va., in the heart of Virginia’s coal country to expand our efforts to diversify local economy. ♦ First electric co-op in western North Carolina starts energy efficiency financing largely as a result of our work. ♦ Voted "Best Environmental Organization" by readers of Blue Ridge Outdoors. ♦ Congress designates $10 million to repurpose old coal mines in Southwest Virginia for economic development, due in large part to our outreach with local citizens. 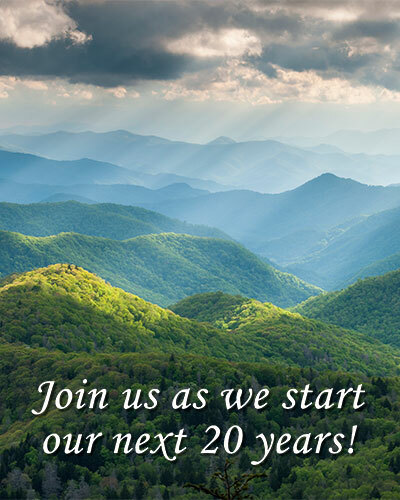 Appalachian Voices is celebrating its 20th anniversary by offering new memberships for just $20! Become a member today!